On Friday night, I returned from a 10 day trip with my wife to celebrate our one year anniversary. What an incredible trip! I took some shots along the way, but kept the focus on relaxation and touring each city we visited. I don’t like to mix too much photography “work” with vacationing with family — but still have a few images to share. In keeping tabs of situations closer to home, I found that Blackwater Falls State Park was nearing peak fall foliage for the autumn 2013 season. No time to waste! 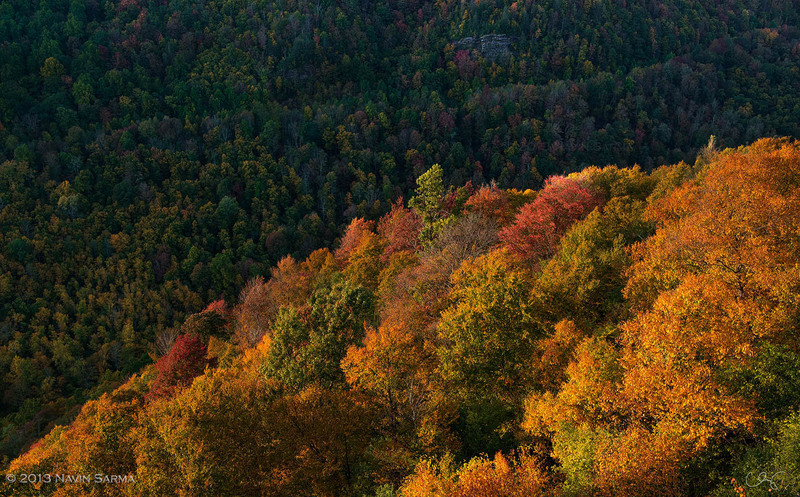 After getting in from Italy at 6pm on Friday night and being super jetlagged, I woke up at 4am on Saturday morning and booked it to West Virginia to shoot a day of fall colors. A triangle rock cove near Dolly Sods, West Virginia. 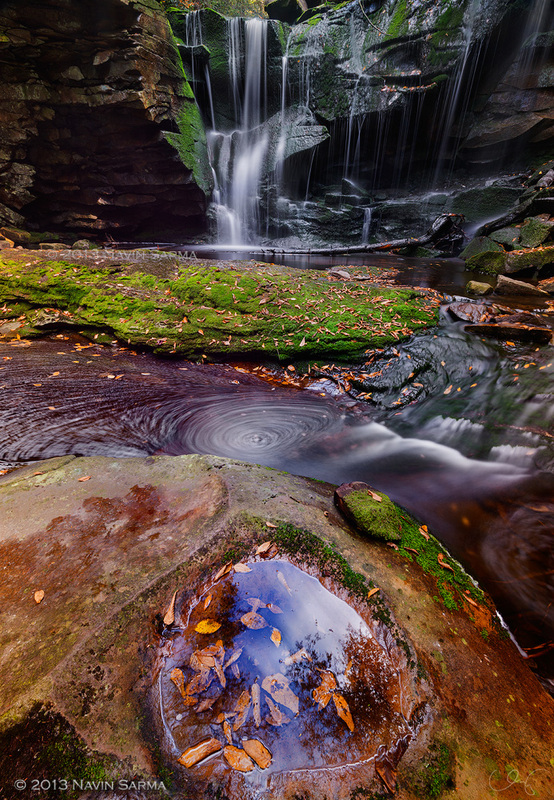 A pothole reflects the blue sky at Elakala Falls at Blackwater Falls State Park. 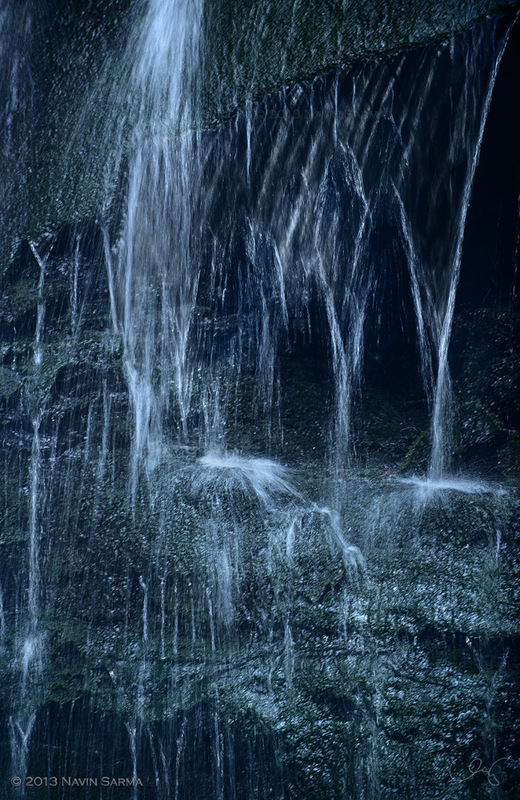 Strange shapes form figures within water dashing down Elakala Falls, Blackwater Falls State Park. Last but not least, Lindy Point. This is a great location to view the sunset at Blackwater Falls State Park, given that it looks due west through Blackwater Canyon. I came earlier in the day and found that many trees had peaked during this area. I planned to come 1.5 hours before sunset to get my composition set, but had no idea what awaited me once I arrived. 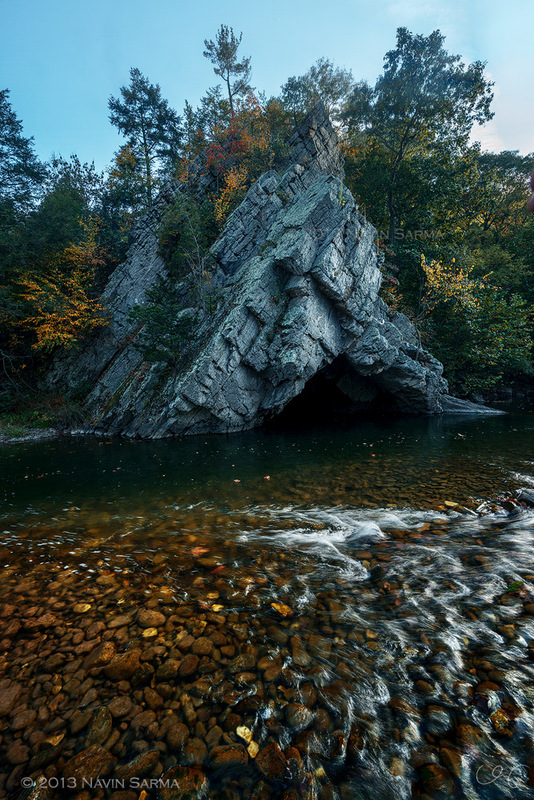 Warm light highlights turning trees on the cliffs of Blackwater Canyon, West Virginia. Slowly, all those who had come to watch the sunset left. Some complained that it wasn’t as vibrant as they would have hoped. I can understand the sentiment and the desire to see a killer light show that takes over the whole sky. But I am also of the opinion that every sunrise/sunset has its advantages/disadvantages and reasons to be unique. Soon after sunset, I was the only one left. I kept shooting into twilight for the shot I was planning and that I had never before seen in Blackwater Falls. 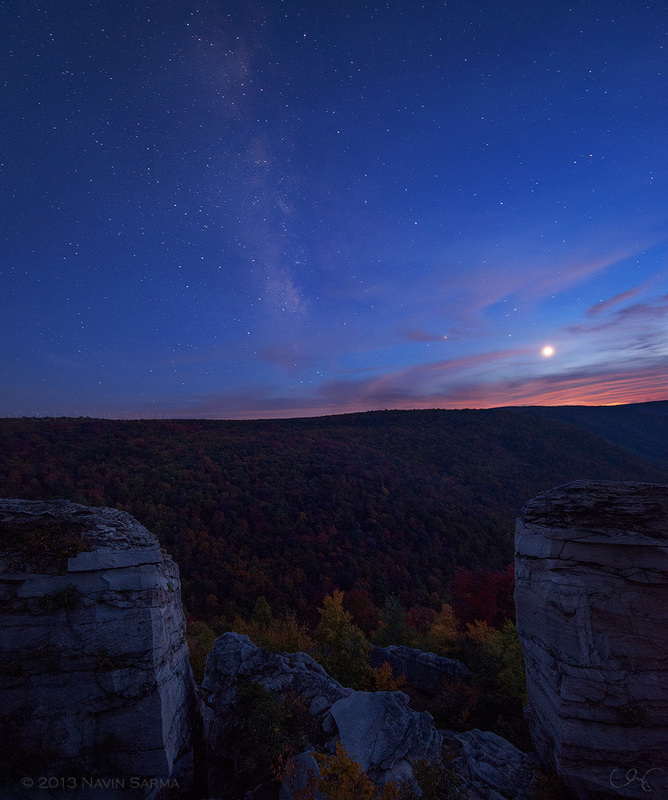 Venus shines brightly during twilight over autumn trees at Lindy Point, Blackwater Falls State Park. The milky way and venus take the sky over Lindy Point, West Virginia. I hope you enjoyed these images of peak fall foliage in autumn at Blackwater Falls State Park. Next up, images from Italy! Nice work Navin! Congrats on your one year anniversary and your processing looks fantastic! I’d have to say of the lot my favorite is the first picture “Triangle Cove.” The light is very pretty and I like how the water gets gradually deeper and leads your eye into the scene. The shutter speed is perfect too. Excellent all around work! Thanks for your comment Michael! Really glad you enjoyed the shots. 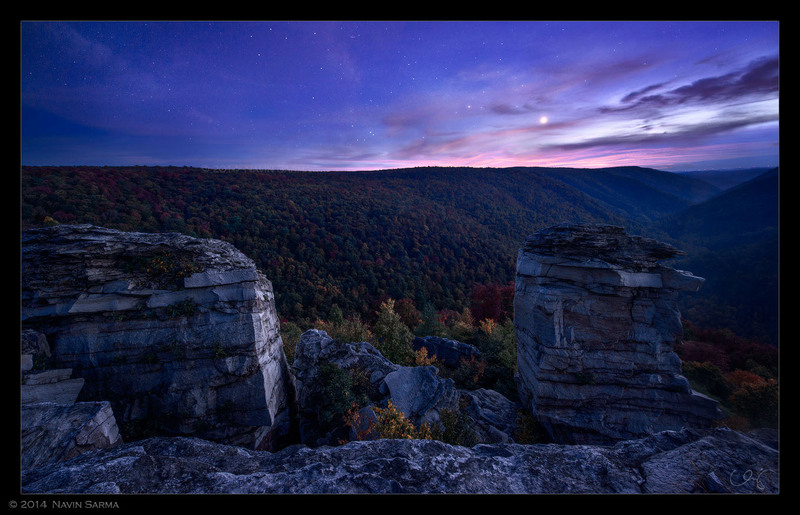 Great shots, these do Dolly Sods justice! I also shoot with a D800 and the 14-24 mm is one of my favorite lenses. On some shots you mention using that lens with a polarizer and ND filter but I haven’t found those available anywhere. Would you be so kind as to share where you found those? Rear mount filters perhaps?